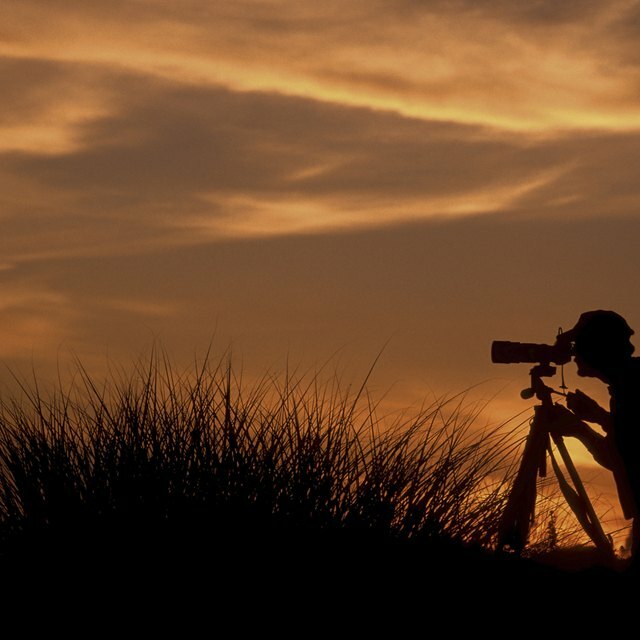 If you enjoy photography as a hobby, you may sell your photographs online and earn passive income for your creative efforts. You do not have to be a professional photographer in order to sell your photos. Doing so is not likely to make you rich, but it's a good way to turn your hobby into cash. Each time one of your photos is selected for use by anyone visiting the site on which they are posted, you will receive a fee. Learn more about photography if you're inexperienced. You need to sell photos online that are in demand. Your pictures should be creative and interesting. Landscapes and pictures of your dog probably won't sell very often, and they might not even be accepted at all by stock photo sites. Businesses and webmasters buy stock photos for their blogs and websites. Purchase quality camera equipment if you don't already have a good camera. If you really want to sell photos online for serious side income, invest money into your hobby and buy a camera with a quality lens. Take several quality pictures every day. If you love taking pictures it won't feel like a job anyway. Make sure each image meets the requirements for the photo sites you're going to use. When you sell photos online you'll need to upload the images in their original resolution. Don't re-size the images. The pictures should be in JPEG format. How Can I Put My Business Name on My Photo? Join free stock photo sites to sell pictures online for passive income. Ad agencies, publishing firms, and business owners use stock photo sites to purchase quality images. Stock photos have as their subjects particular objects or persons. Use only high-resolution pictures with a clear, or white background. The subject in the photo must be in sharp focus. Compare different stock photo sites before you sign up to sell photos online. You may sell pictures on sites like iStockPhoto. The site pays $1 for eight stock photos you submit. Many of these sites will pay you $1 or more for a specified number of photos you submit. When a buyer downloads your picture you earn a commission from it. Compare your options before investing your time into one site. Sell photos online using stock photo sites that pay a percentage of the download. You can also sell photos on sites that pay a flat rate instead of shared revenue. Selling photos on sites paying a flat rate is less profitable in the long run, because the revenue sharing model pays passive income for a lifetime. Read the terms and rules for the stock photo site before uploading your images. It's very important to make sure there aren't any company names or advertisements captured in the image, otherwise you could wind up dealing with copyright issues. Before you upload pictures, remove logos or advertisements from the picture. In order to sell pictures online, you must be the original owner of the photo, and you must be at least 18 years of age. If you use a model for your images, make sure you have a contractual agreement with the person if it's not a close friend or family member. Discover the current trends and what types of images are selling best. Find out what other freelancers are doing and learn some useful tips. It will make it a lot easier to sell photos online. Market your stock photo library to increase its visibility so you can sell photos online as much as possible. Use the appropriate keywords along with your pictures. The keywords play a major role in how people will find your pictures. Make it easier for people to find your work and you'll sell more pictures. Selling pictures online does not amount to much money in the beginning. In fact, the earnings are pretty low and most people give up because they want instant gratification. Stick with it and accumulate a large image library to earn a nice passive income down the road. Find out the current trends and what types of images are selling best. Find out what other freelancers are doing and learn some useful tips. It will make it a lot easier to sell photos online. Market your stock photo library to increase its visibility so you can sell photos online as much as possible. Use the appropriate keywords along with your pictures. The keywords play a major role in how people will find your pictures. Make it easier for people to find your work and you'll sell more pictures.